Looks like we are going to San Francisco! 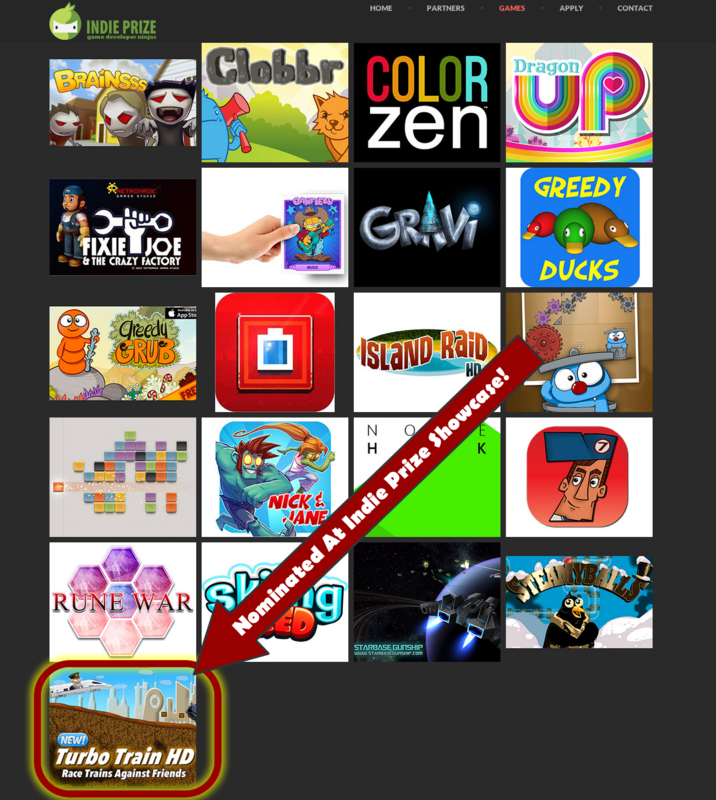 Dream Bot Studios latest game, Turbo Train has been nominated to be a part of Indie Prize Showcase. This is truly great for our team as we will be able to network with other developers, meet some publishers and show off our games. So we are booking our flights and packing up our tablets and phones. It’s time to share with the world our great games. A Special Thanks goes to Andy Rosic from SelfPubd & Thumb Arcade. Also, Yulia from Indie Prize Showcase. We been with our heads down building multiple games to see what people respond to best. While we have thousands of ideas, an event like this will give us a direction as to where we should focus our development. By talking to other developers at the event and getting feedback from players. We now have the opportunity to being a little bit closer to being the best game studio we can from Hollywood, Florida. Congrats on the nomination. Best of luck at the showcase. Wondering if I can schedule a meeting with you at Casual Connect. Ping me at my email if you can. Thanks.